One of our products that we supply, that has been successfully used throughout the mining industry is our selection of Crusher Parts. We offer a broad range of these products which include parts for Gyratory Crushers, Jaw Crushers, Cone Crushers, Roll Crushers and horizontal shaft impactors. MSS can also tailor the alloy to meet the level impact and abrasion encountered. We can supply 24% manganese steel, which gives much longer life in many Cone Crushers and Jaw Crusher applications. Alloys of appropriate hardness and toughness are available for each level of your Gyratory Crushing Chamber to greatly reduce maintenance costs. We have been very successful in addressing gyratory crusher performance and wear life problems through mantles and concaves of appropriate design and alloy. Any size to 40,000 lb (18,160kg). Any design that works for you. Extensive experience with gyratory crushers. Knowledgeable field service and engineering specialists. A “can-do” attitude about improving crusher performance. Many heavy duty and custom designs available now. Capacity to produce volume orders and large sizes. Parts inventories for popular gyratory crusher models. All parts guaranteed for proper fit, performance and customer satisfaction. Straight, full curved, & straight with curved end jaws. MSS Can Help You Select Cone Crusher Liners for better production and longer life. We can supply liners and mantles, usually in many styles, for all popular cone crushers. We supply parts to the task. OEM liners are based on average conditions, and few crushers work under “average” conditions, which is why we have so many options available. In many applications, the Xtralloy we supply gives significantly longer life, and also reduces downtime and the expense of changeouts. 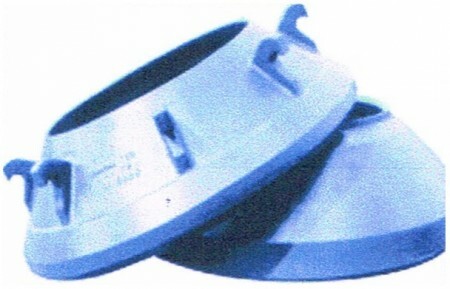 We can supply Increased Feed Opening Relief Bowl Liners, which feature reliefs near the feed opening. When occasional oversize material is a problem, they can increase production and reduce recirculated material. We can provide epoxy backing material and all the accessory items you need, from Torch Rings and Locking Nut Covers, to felt and retaining hardware-all in one order. If roll crushers are part of your material processing, MSS has a way to improve their service life. 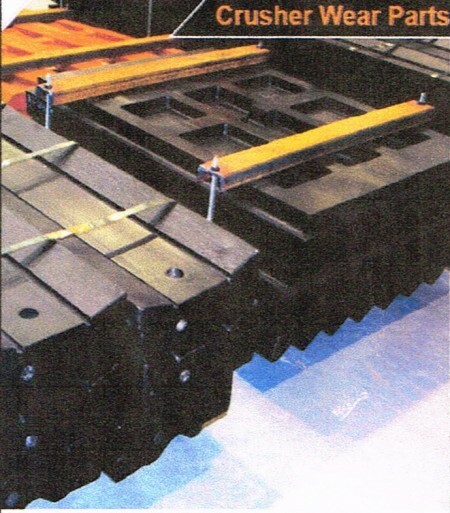 We offer a wide selection of replacement wear parts for roll crushers. All of our rotating parts undergo extra quality control tests to assure their integrity in high-impact applications. We supply many standard O.E.M. Design roll shells in manganese, alloy steel and chrome iron alloys. At our customers’ resqusts, we’ve developed many oversize and heavy-centered roll shells for both common and specialty wear material, such as Xtend Process Hardfacing, to roll shell castings in critical areas. Our vast alloy selection provides the opportunity to optimize service life for virtually any crushing situation to which a roll crusher can be exposed. Our long-lasting wear parts for Horizontal Shaft Impactors include Standard and Heavy Duty Impeller Bars, Curtain Liners and Liner Plates. MSS supply many Blow Bar designs for cement and aggregate plants. Primary Horizontal Shaft Impactor Blow Bars in our L98 premium manganese steel routinely outperform competitive blow bars. Precise alloy chemistry means consistent and reliable wear parts–Horizontal Shaft Impactors used for secondary crushing and for concrete and asphalt recycling require hard and tough blow bars. All our blow bar products that we supply go through a high level of quality control which ensures the exact alloy chemistry, and every alloy steel and alloy iron blow bar is checked for specified hardness to confirm proper heat treatment.